Configurators can help to accelerate your distribution process by reducing response time. They guarantee correct orders and description of products. Your sales representatives in the office and on the field are supported that way. All of your Know-How can be saved in the configurator and can be recalled by your customers and employees at any time. Configurators by Axcion work with the newest 3D graphic engine by Unity Technologies. This ensures that we meet the highest standards in 3D rendering, and provides numerous possibilites in scaling. Thanks to the Use of Unity as 3D-Engine the Shelf Configurator works on various terminal devices. Whether you have a web application, a stand alone App based on WINDOWS or MAC, a Smartphone or as a Tablet app - it works. The customer is supported by an extensive interactive help function so the users won’t need any additional training. Your configurators can be arranged in several languages on request. It is also possible to add a trackinglink analysis to associate commissions to sales partners. 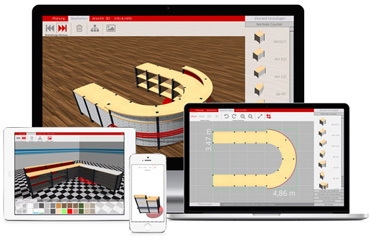 Each configurator is equipped with an simple and intuitive interface, and is customized to your products. 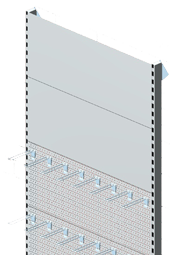 Create basic shelves or configurate shelf systems for your project with the functions of our project configuration. Projects implemented by our partner in technology. The configurator for shop counters allows the individual combination of Varius, Lineus and QBus counters. 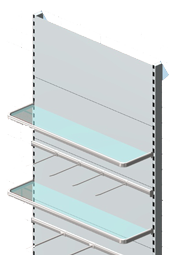 The Shelf Configurator allows you to combine shelf systems of various distributors. 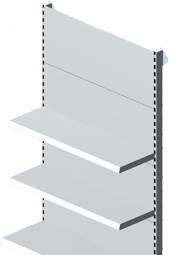 You have a shelf system and want it to be available in the configurator?